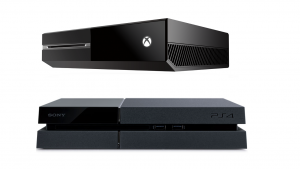 The Playstation 4 vs Xbox One war that Sony and Microsoft have been waging on the video-game front has undoubtedly reached a new level. A lot of Xbox One users have been praising Microsoft for keeping its promise of releasing regular updates to their console every month. The updates almost always focus on enhancing the entertainment aspects of the Xbox One, rather than on its actual games. For the Playstation 4, it’s the exact opposite, as there is usually a long interval in their update releases. And the updates almost always deal with improving support for their games. From these facts alone, it is clear that the battle is a close one; although, the PS4 seems to be gaining the upper hand. And this is made more apparent by the comparisons we have made below. As of this writing and according to the main Playstation website, the PS4’s recommended retail price is £349.99. This is evidently a lot more expensive than the Xbox One, whose standalone price tag has since gone down to $349. Take note that this does not include Kinect, which is what makes the Xbox One shine. With Kinect, a single Xbox One console costs $499, which is still a few dollars cheaper than the PS4. If the two consoles are bundled with a game, they cost around £20+ more. So for the pricing battle, the Xbox One is certainly the way to go if you have a tight budget. On how the interface of each console looks, the PS4’s is noticeably the one that is more responsive to gamers. This is because the X-Box One interface, which looks very similar to the Start menu of Windows 8, has been receiving a lot of complaints for being very glitchy. The PS4 interface, on the other hand, has a more pragmatic design and is much more user-friendly, allowing users easy access to the features that they need. Many gamers opt for the PS4 when it comes to better graphics, and with good reason. It has, simply put, more powerful specs in the said department. 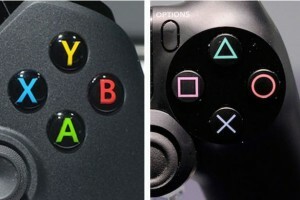 Many graphics comparisons have been made between the PS4 and Xbox One, and in almost all of them, the Playstation 4 performed better in rendering the most up-to-date game releases. And this is the main reason why most gamers are looking forward to playing Next-Gen games more on the PS4 than the Xbox One. Taking into consideration the three primary factors above, it is clear that the more gamer-friendly choice is the Playstation 4 – at least for now. After all, Microsoft is still releasing more updates and improvements regularly. And there is also no denying the fact that the two consoles are still in their early, developing stages. As of now, it is simply too early to tell how the Playstation 4 vs Xbox One war would turn out in the years to come.